Although new homes are protected under Tarion Warranty Corporation, they often contain defects. 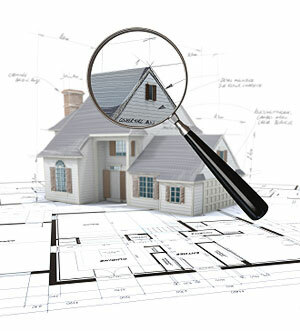 It is hard for municipal inspectors to inspect everything during construction. Builders also find it hard to check on construction trades throughout the construction phase. Pre-Delivery Inspections are completed just before you close on the property. This process consist of you inspecting the property with a representative of the builder, who will document the defects that you find & submit the inspection report on your behalf. The purpose of the 30 Day Warranty Inspection is to identify any defects that were missed or not included on the Pre-Delivery Inspection with your builder. This inspection can be completed by Magnified Home Inspections Ltd, who will conduct a thorough inspection & complete a report (containing pictures), that you can upload to your Tarion account. This 30-day inspection report must be submitted (online) within the first 30 days of you taking possession of your new home. This inspection is for items that remain unresolved or new issues that have arisen during the first year of ownership & it is usually conducted in the eleventh month of ownership. A new home needs time to dry out and settle, which can cause certain characteristics and situations to develop during this time. This inspection can be completed by Magnified Home Inspections Ltd, who will conduct a comprehensive assessment of all the visible defects, systems & components. We will compile a detailed report (containing pictures), that you can upload to your Tarion account. We will also inform you on what to expect and how to maintain your new property. With our professionally compiled report any defects will be documented, which will give you the ability to deal with your builder & Tarion.